I'm helping a friend shoot a short film and in one scene, one of the actor gets mad and is supposed to bust down a door. In looking at the location, it is an outdoor garage area and the door that's on there right now is really no more than a screen door and can be easily removed. We were thinking of putting in a prop door, just a used door and having him kick and then have the entire door and the jamb casing fall forward. We were thinking of even having some rope or strong string on the other side and to pull it when he kicks it so it's sure to come down. The idea was when he crashes into the door with his shoulder, the whole door comes down with him on top of the door, essentially falling with it to the ground. Does anyone have any thoughts on doing this? Any safety concerns? It seemed to make more sense to have the whole door come down versus it shattering or only getting partially destroyed? Any thoughts or ideas appreciated. I don't know nothin bout nothin but I could see if he crashes down on top of the door, unless he's trained and knows how to fall and all that, really hurting himself. Get yourself a hollow-core interior door. They are made of two thin outer layers and the interior is typically honeycomb cardboard or other light fill. Just about anyone push a foot or themselves through this door, especially if you set up the non camera side already fractured. If you just set it in the jamb with no hinge pins or door catch, anyone can make it go flying with a good hit and not hurt themselves. Thanks. I appreciate the thoughts. I guess we will walk through some scenarios but I suppose it is better if he kicks it down versus running into with his shoulder. I can see the safety issues with running into it. I will have to scavenge and find one of those hollow doors. Easy way to do this is hang the door but leave the hinge pins out. Hollow door is a good idea. Usually find a good selection of used doors and hardware cheap at Habitat for Humanity Restores, but a bare hollow luan door only runs about 40 bucks new at Home Depot. Do you want the whole door to fly off the hinges, or do you want it to splinter? For the latter remove the hinge pins. To make it fly off with force don't depend on the actor, but rig some sort of a battering ram to make the door fly off the hinges. If you want the door to splinter than you will need to buy or build a breakaway door. Balsa is best but expensive. You could try a hollow core door, and pre cut the door where you want it to break. Don't cut all the way through the outer panels, but score them most of the way through. 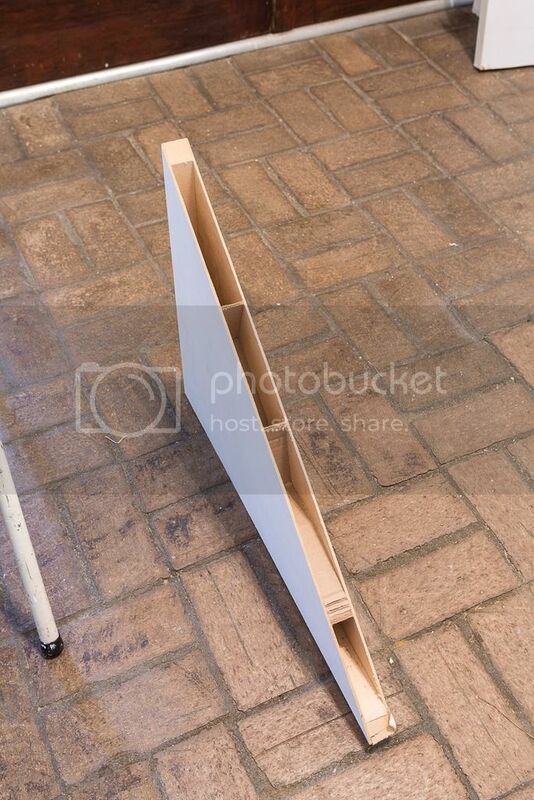 For the balsa option, the entire door does not need to be balsa, but only the sections you want to break out. For this a panel type door would work best. Also the splintering door is only good for one take so you might want to have at least one spare just in case. Last edited by dwiener; 12-16-2018 at 03:56 AM. Yeah like the others said. Kicking it without pins and it falling down may be safest, but having it bust apart might be more exciting. Either way, I'd look around the area to see what may be hit by the falling door to avoid accidental damage to something else. Hollow core door is the way to go. You can buy them in a frame if your opening is large enough. In that case you would also have the option of rigging the latch side of the jam. Cut "break" the jam so that if you kick the door the breakaway portion of the jam lets the door fly open. Kind of classic kicking in the door. The upside is you can reset the breakaway portion for another take. Knocking it off it's hinges is a bit unrealistic but that may work for your film? If you wanted the actor to fall ON the door you would need to rig the bottom of the door so it will go down straight. Basically hinge it at the bottom. Other wise it will probably fall at an angle and your actor might slide off the door. The door would cushion his fall but if he slides off he is doing a hard landing on the floor (I'm guessing concrete) and that could break a bone.